Created for the 2009 Homegrown music video festival. Participants draw a song from a local band from a hat, then had a weekend to make a video for that song. 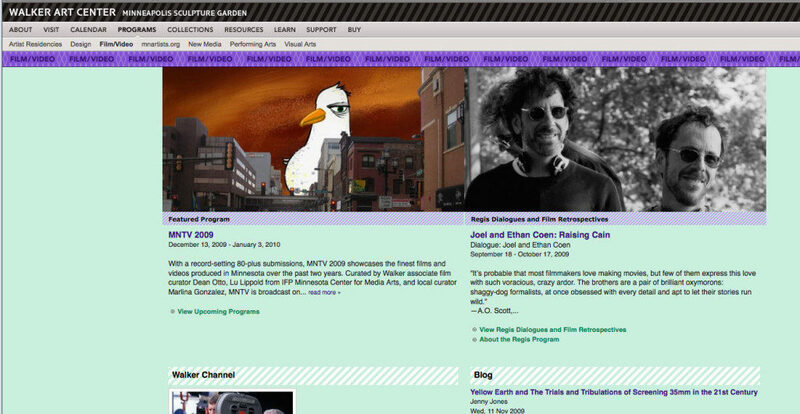 This went on to be featured on Channel Frederator, MNTV, Cinema Lounge, and shown at the Walker Art Center, and here I am getting top billing above the Cohen Brothers. Whooo! Please feel free to write or call with any questions or comments.